In conjunction with Art Basel HK last week, Asia Society hosted an awards gala named the Asia Arts Game Changers. 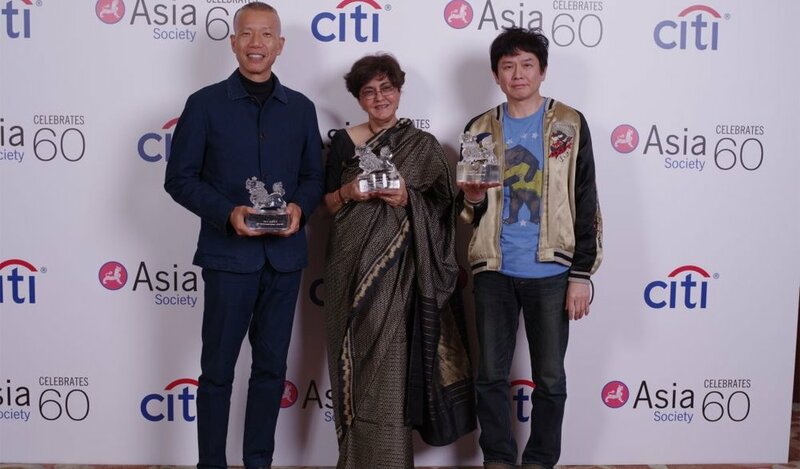 Cai Guo-Qiang form China, Nalini Malani from India and Yoshitomo Nara from Japan was recognised for the Asia Arts Awards for their “artistic excellence and contributions to Asian art”. Winners in the past have been Lee Ufan from South Korea, Takashi Murakami from Japan and Nyoman Masriadi from Indonesia. Cai, an artist perhaps best known for his performances in which he paints by exploding gunpowder, expressed his gratitude to receive the Asia Arts Award and mention that it gives me more faith in what I do, knowing that I can continue to “mess around boundlessly”. Equally excited to be winning an award was Japanese artist Nara, known for his paintings with wide-eyed children at once sinister and vulnerable. Indian artist Nalini Malani spared a thought for those less fortunate than the assembled art world luminaries.